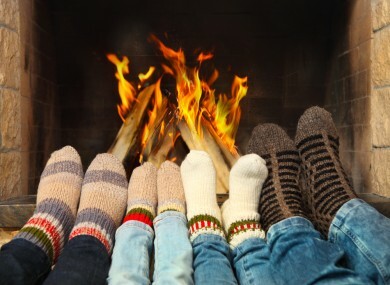 IF YOU ARE at home today, it’s time to start using the heating. While the day time will see afternoon temperatures of between 11 and 14 degrees, tonight will see temperatures dip to as low as freezing. That is coupled with patches of frost and fog, but the skies will be clear. That frost will clear quickly in the morning as tomorrow remains sunny, but cool with light winds. Tomorrow night will be cold again. Looking ahead, Sunday and Monday will both be dry days with no more than light breezes. Cloud cover will vary and large amounts of cloud may persist in some areas. Wind and rain will start to pick up by Tuesday, Met Eireann says. However, it will be slightly warmer in the evenings. Email “Bang the heating on - the weekend is going to be cold”. Feedback on “Bang the heating on - the weekend is going to be cold”.